The historic Treaty of Peace, Friendship and Cooperation India and the Soviet Union signed on August 9, 1971 sprang from a convergence of national interests and shared perceptions of security risks posed by the United States and Chinese role in the region, Vladimir Radyuhin writes in The Hindu. Forty years on, he says, the same centres of power are at play in the region but security perceptions have changed, creating new challenges and opportunities for India and Russia, say Russian academics. The 1971 treaty helped India win its third war against Pakistan, safeguard its independence and territorial integrity and neutralise external threats stemming from the Sino-American rapprochement, the China-Pakistan nexus as well as the U.S. strategic alliance with Pakistan. It became the mainstay of Indo-Soviet strategic ties till the break-up of the Soviet Union in 1991. Even though it was not a mutual security pact, the treaty provided for immediate mutual consultations in case either country came under attack. In the context of an impending conflict over East Pakistan, this provision amounted to Soviet security guarantees to India. “The treaty sent a strong signal to China and the U.S. that the Soviet Union with all its military might was standing by India and it was useless to bring pressure on it,” says Professor Andrei Volodin of the prestigious Institute of International Relations and World Economy. The battle lines were starkly drawn in the conflict. The U.S. sent a naval force with aircraft carrier Enterprise to the Bay of Bengal to bring pressure on India, prodded China into taking military action in support of Pakistan, and promised to back China in any confrontation with the Soviet Union. The Soviet Union responded, dispatching almost its entire Pacific Fleet to the Indian Ocean, poured arms and ammunitions into India and blocked anti-India moves in the United Nations Security Council. The Soviet support stemmed from the congruence of national interests, rather than ideology-driven hopes of getting India to embrace the Soviet-style socialist path someday, asserts Prof. Volodin. “The Soviet Union needed a strong, independent and assertive India as a balancing force in the region.” The Soviet Union offered India cheap credits and technological assistance in setting up steel, machine-building, power generation, mining and pharmaceutical industries that ensured its economic independence. Massive Soviet defence supplies turned India into the dominant military power in the region. Even today, the Soviet and Russian made weapon platforms constitute 60-80 per cent of the Indian armoury. Another important fallout was that the Indo-Soviet treaty became a reality check for China. “The treaty of 1971 helped bring about a turnaround in China's policy from attempts to set up an ‘anti-hegemonistic front' to a more realistic worldview that was more consistent with international realities and consequently more productive,” says Alexander Salitsky of the Moscow Institute of Asian Countries. How has the situation changed today? 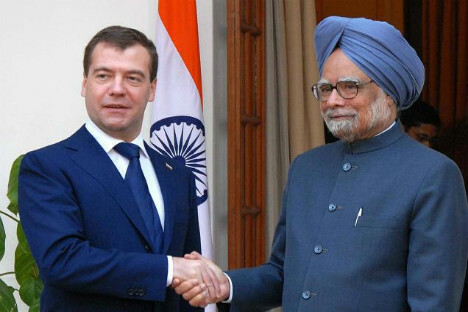 Close ties with India remain the cornerstone of Russia's foreign policy. Following a period of drift under President Boris Yeltsin, the strategic nature of Indo-Russian relations was reiterated by his successor Vladimir Putin and the ties were elevated to a “privileged strategic partnership” by President Dmitry Medvedev. At the same time, there is an ongoing debate in India on how relevant the strategic ties with Russia are today when the underpinning imperatives of the past decades are gone: Russia-China relations have turned around from hostility to friendship, whereas India sees China's rise as a challenge; Russia is no longer in confrontation with the U.S. and India is pursuing strategic ties with the U.S. This geopolitical logic can help resolve disputes in Asia, but it is not quite applicable yet to India-China relations, still burdened by bitter memories of the 1960s. Prof. Salitsky believes that a dialogue among Russia, India and China (RIC) can be useful in facilitating more harmonious relations between the two Asian giants. “The RIC triangle is a promising platform for discussing sensitive issues in a frank manner with no outside powers present. The three big nations surrounded by smaller countries cannot but share a common view on strategic equations in Asia,” says Prof. Salitsky, a participant in annual Track-2 meetings of academics from the RIC countries. “China is always more open-minded towards criticism that comes from its big neighbours that pursue an independent policy … The RIC format is a manifestation of the build-up of healthy regionalism, which is a more promising trend for Asia than globalisation. The scholar is convinced that India-China relations will keep improving as India accelerates its economic rise. “It is quite attainable for India and China to have in future as good relations as Russia has today both with India and China,” Prof. Salitsky says. He does not rule out the possibility of India and China signing one day a good-neighbourhood treaty similar to the Russian-Chinese friendship treaty. The U.S. factor is as important today as it was 40 years ago for both India and Russia alike, while its perception in both countries has changed from negative to positive. But Russian scholars warn against excessive expectations in New Delhi and Moscow for their bilateral relations with Washington. “There are a number of impediments that make a strategic alliance between India and the U.S. unlikely,” says Andrei Kortunov, head of the Moscow-based Eurasia Foundation. The scholar cites India's traditional non-alignment and shunning of commitments hampering its freedom of manoeuvre, the continuing U.S.-Pakistan strategic tie-up and the likely reduction of the U.S. wherewithal in Asia in the light of the coming withdrawal from Afghanistan, the growing instability in Pakistan and the continuing standoff with Iran. India will also strongly resist U.S. attempts to use it as a counterbalance to China. “India is an ideal candidate for the U.S. to share the burden of countering China,” says Dr. Kortunov, a recognised authority on the U.S. “The U.S. will continue its efforts but is unlikely to succeed unless some dramatic crisis breaks out between India and China.” By contrast, Russian scholars see no constraints to India-Russia ties and urge their governments to make better use of opportunities offered by the new regional equation. “Russia's policy in Asia is too much China-centric, which weakens its impact,” says Dr. Kortunov. “There is no doubt that China must be a priority, but Russia should reach out more energetically to other Asian countries — Japan, rising Indonesia and Vietnam and, of course, India.” The scholar is convinced that India and Russia today need close relations as much as they did 40 years ago, but that the rules of the game have changed. New Delhi and Moscow, Russian scholars say, should display the same level of foresight and leadership they showed 40 years ago in order to inject new dynamism in bilateral ties to keep them from declining.